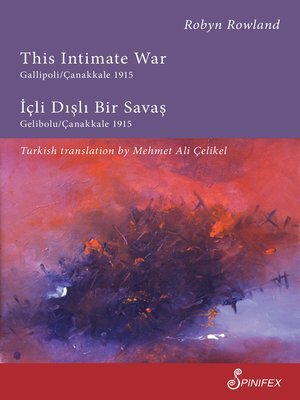 "Very few collections bring home so powerfully the vulnerability of individuals in the face of history," writes Lisa Gorton of Robyn Rowland's powerful poems recording the experiences of soldiers, nurses and doctors, women munitions workers, wives, mothers, composers, painters and poets during the Gallipolli War,1915. It began with the Battle of &Ccedil;anakkale and the defeat of the British navy. The land battle was hand-to-hand killing, the physical closeness of its soldiers unmasking the depersonalization of the propaganda of war. Importantly, the book finishes with a poem on women's friendship 100 years after the war, and the healing nature of love.